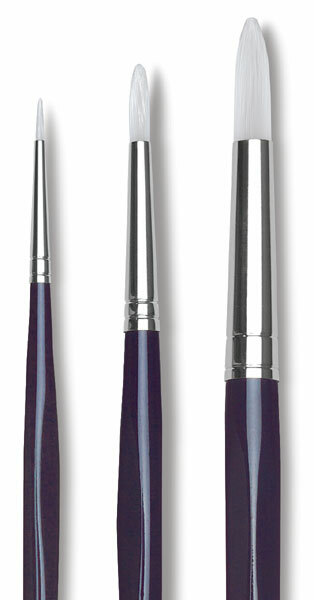 Da Vinci Impasto brushes are made with the thickest fibers available. Extremely strong and thick bristles make this line of brushes excellent for heavy body acrylics, oils, and water-mixable oils. They’re a favorite of impasto painters, who use thick applications of paint. 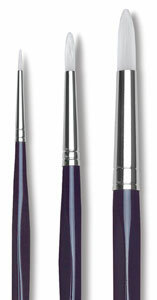 The unique thickness and strength of the Impasto brushes make them perfect for moving large amounts of color in bold expressive strokes, and for working with thickening mediums. Ergonomic, black lacquered handles are styled to reduce hand fatigue during painting. The seamless, nickel-plated brass ferrules are rust-resistant.